This is very cool. I really love it. Cool... the pictures of the game are almost art themselves! I'm the creator of those paper models and miniatures. 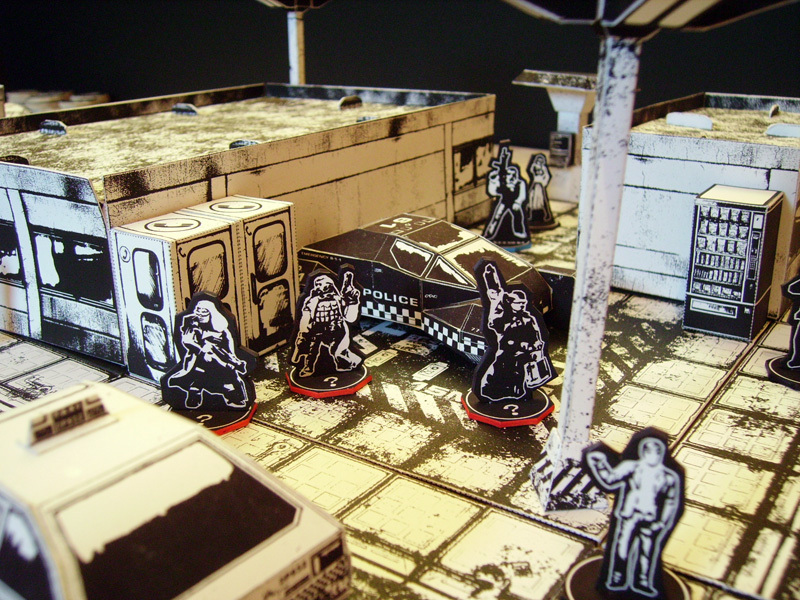 It was a lot of work but also immensily satisfying to play on a table filled with a cityscape that looked like it came right out of Sin City, twenty minutes into the future.As you might have read in the LAF thread, The Department is pretty much Blade Runner: The Game. 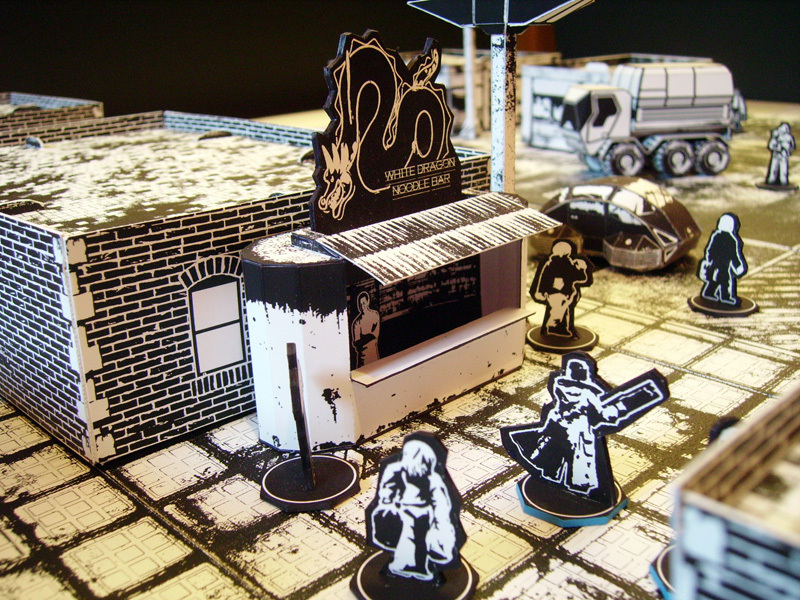 There's quite a bit of clutter missing on the streets (I made several trash piles for those dark alleys) because most of the pictures were taken after the game session and I had to recreate the layout, and forgot those props. Welcome to propsummit Robert. Great to have you here, and love your work.